Call in for a free consultation (or we can arrange a day and time to come and visit you), to discuss the options and benefits of natural and engineered stone for your new or existing home. 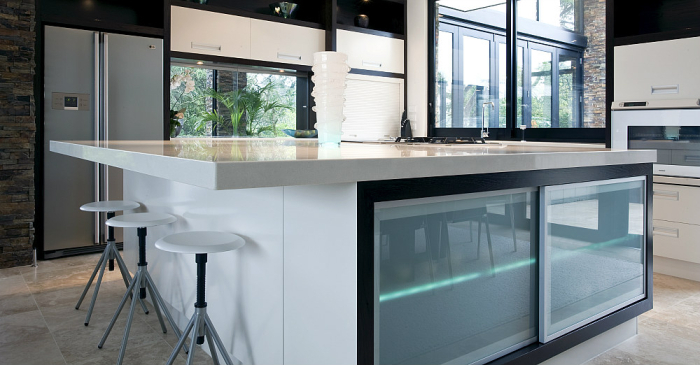 Quartz and natural stone are ideal surfaces for your kitchen. They offer stylish, timeless durability with minimal maintenance. Create your own luxury bathroom with marble or engineered stone. Granite's heat resistant properties make it the ideal solution for your heath, mantle, and fire surroundings. For more examples, checkout our Gallery.